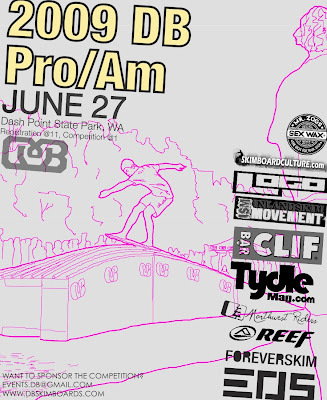 The 2009 DB Pro/AM is just a few days away. The crew has been building this week in preparation for the Dash Point Pro/Am. Look out for some INSANE features. 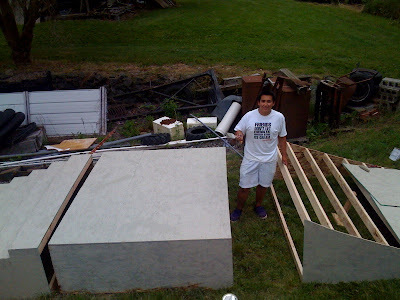 Try and guess what this 20x8ft beauty is going to turn into. Local shredders Trevor Hardwick and Josiah Thomas were out today getting ready for this coming Saturday, the 6th Annual DB Skim Comp. For all you other skimmers, there’s no better time than now to hit the beach and get those tricks dialed in for the big day.